I love to travel to new places and meet new people in the photography industry. 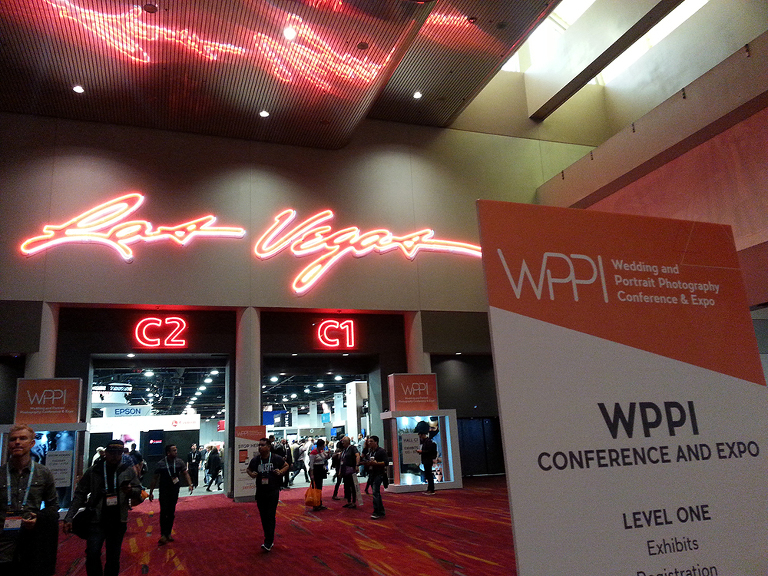 This year marked both my first trip to Las Vegas and my first time attending WPPI (Wedding & Portrait Photographers International). This annual convention has been going on since 1980 and draws in over 10,000 attendees and over 250 exhibitors from around the world. The goal of the conference is not only to promote growth in the industry but also promote community in which members can learn from one another. 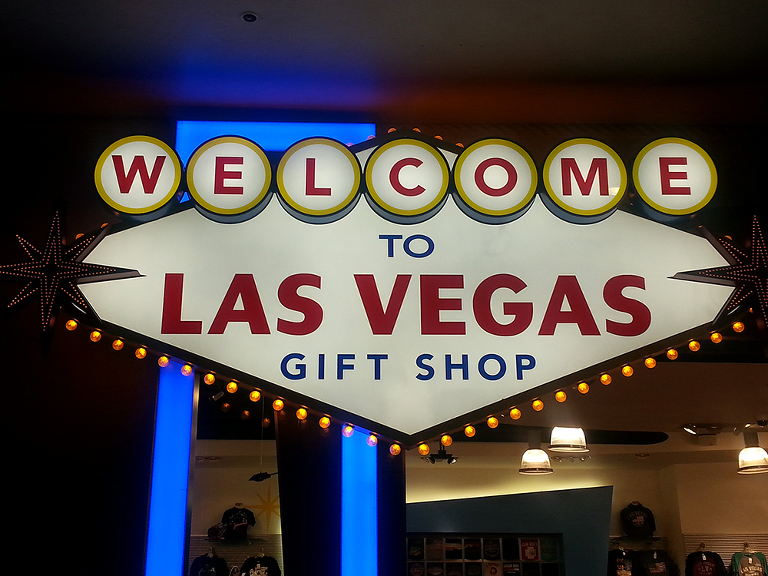 I arrived in Vegas late Sunday night and was immediately dazzled by the neon lights of the Vegas strip which were clearly visible from the McCarran International Airport. After a quick Uber ride, I settled at the hotel adjacent to the convention center, the Westgate Las Vegas Resort & Casino. This hotel was previously the famous Las Vegas Hilton, which once held an 8 year exclusive run of Elvis Presley performances in their showroom — an incredible 837 consecutive sold-out performances. The next four days of my stay marked a whirlwind of seminars and hours strolling around the vendors’ booths at the Expo. The classroom-style seminars were great but I think I learned even more from some of the “mini” presentations that took place each day at the Expo. Learned a few creative tricks that I can’t wait to put to use. But the most invaluable thing was indeed the connections made with new and old photographer friends. Not only did I get the chance to hang out with a great group of boudoir photographers (my AIBP gang), I also got to spend some time catching up with the guy responsible for getting me into Retro PinUps, Mike Long of Portland Pinups & my boudoir mentor and good friend, Jen Rozenbaum; and listen to some other amazing presenters as well: Denise Birdsong, Lindsay Adler, Jerry Ghionis, Sue Bryce, Joe McNally, Susan Stripling, Tamara Lackey, Peter Hurley and Matthew Jordan Smith (of ANTM fame as well as his amazing work with almost every celeb on the planet). And in addition to all the incredibly inspiring photographers that I met, listened to and schmoozed at dinner (and then the bar) with, I also managed to do some gambling at the casino and WIN my first time playing Roulette (made $80 on a $5 bet, not too shabby), watch the mesmerizing fountains at the Bellagio, dine at a Gordon Ramsay restaurant (STEAK — whose Beef Wellington is amazeballs! ), watch a replica volcano at the Mirage erupt, and maybe even experienced a photo session in FRONT of the camera for a change at a fancypants Penthouse suite at the gorgeous Aria Hotel courtesy of Shawn Black (Couture Black)! I didn’t get to see any shows, see the Neon museum (the junkyard cemetery of old hotel signs) or shoot in the desert, but there’s always next year!